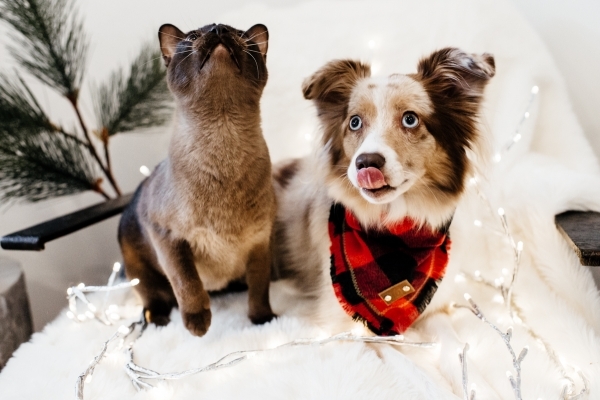 Wanted to kick off the holiday season with a gift guide for our cats and dogs AND for cat and dog pet lovers. Let’s be honest, all us pet parents love to spoil our fur babies so why not get a head start. Also, can we talk about HOW FREAKING CUTE Lola and Miles are. If you are new here, Lola is our Mini Australian Shepherd and Miles is our European Burmese cat. They are best friends. Lola also puts up with alot of my crap when it comes to dressing up and doing ridiculous things for photos. For that Lola, I love you even more. Did I mention she has her own instagram?? Check it out here. I picked out some of my favorite finds above and you are able to click on each product above to shop. I wanted to also call out a few favorites here. 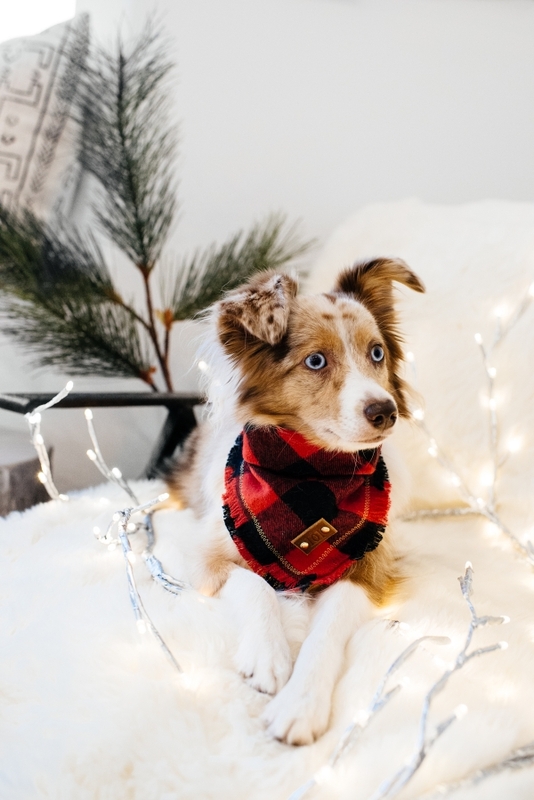 #1 // American Eagle Outfitters pet scarf: If you remember from last year, Lola had an epic romp in the snow and wore one of their scarves here. It’s too cute to pass up and I will be getting a new one this year. #16 // CB2 Cheeseburger Toy: It’s no secret that I spoil Lola + the cats with toys. I swear every time I am at a pet store I cant help but leave with something new. We have alot of food toys so this one will fit right in. #17 // Dyson V8 Animal Cordless Vacuum: Yes that’s right. I put a vacuum on my gift guide because its AMAZING. We have had this one for over a year and I could not recommend it enough. With 4 pets in our house, this one is great to clean up the inevitable hair that turns into dustballs everywhere. It’s really light weight and easy to just pick up and use for a quick job. I know it’s pricey but its worth every penny. Blake’s whole family now owns one too! #23 // Shop Cats Of New York Book: I love a good coffee table book for different nooks in my home. I actually own the #8 dog book but don’t have one with cats. So naturally, my cats will be pissed that Lola is getting all the attention. So looks like I need to add this to my shopping list. Rena - I’m a pet lover and the selectin is super cute! Sharon - All these gifts are too cute! I have that dog book too! I’m thinking of getting it for my bother’s gf too, he has the funniest most active dog I have ever met. She’s too cute. Arabella - Such great ideas and what a cutie! Margarita - Most adorable photos of Lola and Miles!!! So sweet!